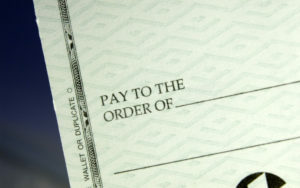 Whether it’s a Friday for the bi-weekly paycheck, or the 15th, or the 1st, whenever you get paid, receiving your check can be an exciting time. Once you pay your necessary monthly expenses, you can look forward to having a little extra money to do something you enjoy after working hard all week. While it is important to stay within a budget, whether you keep a physical budget or not, so you just don’t go aimlessly spending your check the day you got it, there are certain areas that make us blow through our paycheck a little more quickly. While there is not a set-in stone model for what you spend on housing, experts have claimed that around 30% of your income would be a decent amount to spend on a mortgage (or those that rent). You don’t want to get to be too high where you are spending all of your income on a huge house above your means and not have much left for other expenses, especially in the event that you lose your job, you want to be able to comfortably pay even if you are not able to secure a salary as high. Same goes with your auto lease or loan. Sure, going out to eat is convenient; you get to have someone cook, serve, and clean up after you, but it does come at a premium price. Even if you are grabbing breakfast or lunch on the go, that will quickly add up as well. If you can go grocery shopping and plan dinner meals, pack your lunch, and have your coffee brewed in the morning with a quick on-the-go breakfast to eat in the car, you will save a significant amount of money throughout the month. Much like eating out, online shopping is convenient, but it gets you to spend a little more than you probably had envisioned. With free two-day shipping for Amazon Prime customers, not to mention free shipping for just about every website out there, except you may have to wait a little longer to receive, there is little need to leave the house to fight crowds, traffic, and weather conditions any longer to go shopping. With virtually endless sources of price comparison shopping out there, you will never have to pay full retail price for anything any longer. Just when you get through paying the mortgage, car lease, and utility payments for the month you think you have a certain amount leftover for the month, but wait, you have that credit card bill that is due. Credit cards can be more of a pro than a con if you handle responsibly mostly because of the rewards, but if you have a spending problem and cannot pay the full balance by the due date, you begin to pay interest to the credit card company. Instead of wasting that money, try and hone in spending a little more so you can pay off the full balance each month instead of worrying about continuing to go into debt.